Space tourism could start in the next two years, says Jeff Thornburg, AE’96, but it’s going to be expensive. system — and then take people along for the ride. 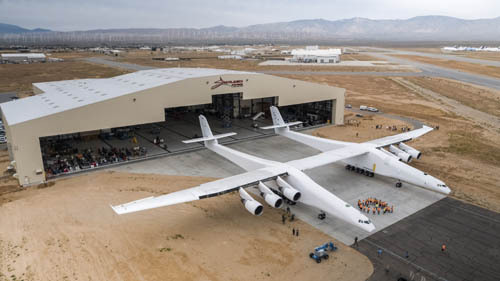 Stratolaunch is building the outer-space version of an aircraft carrier, or in other words, a flying launch site for new spacecraft. Expected to debut before the end of the decade, the aircraft is a reusable air-launch vehicle powered by six Boeing 747 engines that can carry payloads of up to 500,000 lbs. At 385 feet, its wingspan is the world’s largest. In comparison, a National Football League field spans 360 feet. The aircraft is being designed to air-launch rockets into orbit. 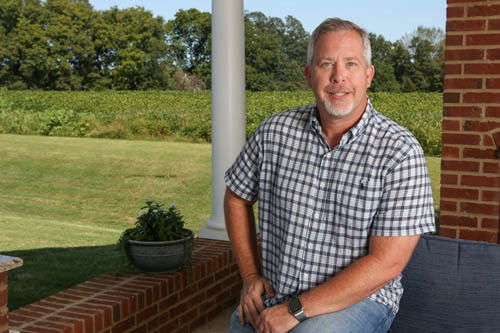 Thornburg always had a strong interest in technology, and like a lot of other kids, he dreamed of a job at NASA. Thornburg learned about the build-up to the first space shuttle launch as well as the history of the space program and the first Mercury, Gemini and Apollo launches. “It really had a strong impact on my career interest in space exploration,” he says. Thornburg spent the first 20 years of his career in rocket engine development and learning how to operate launch vehicles with the Air Force, NASA and SpaceX. “Those were incredible learning experiences for me,” he says. He plans to spend the next 20 years pushing the boundaries of space exploration, both at Stratolaunch and with Interstellar Technologies, an R&D company he founded to develop new launch vehicles and rocket propulsion technologies. Typical of the Star Trek and Star Wars culture he grew up in during the 1980s and early ’90s, Thornburg jokes that everyone who is a propulsion engineer wants to be Scotty from Star Trek. “I was never any different,” he says.